These are the games that Texas A&M brought Jimbo Fisher to College Station to win. The No. 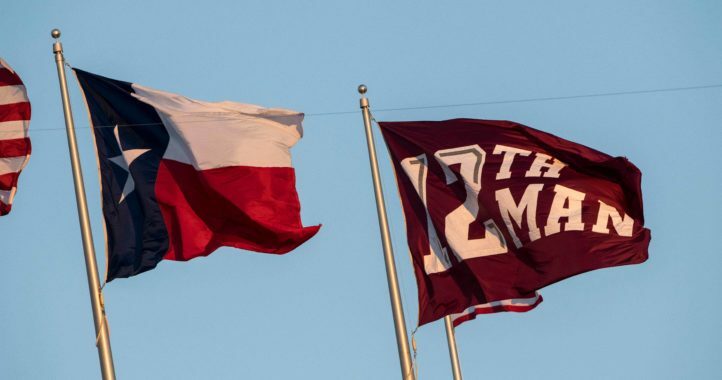 2 Clemson Tigers come to Kyle Field on Saturday night (6:05 p.m. CT) prohibitive favorites (opened at – 13.5) to face the Aggies in Fisher’s first big game at Texas A&M. In his debut, Fisher guided the Aggies to a record-breaking victory over Northwestern State. The offense set a school record for first downs (40) and piled up the second-most yardage (758) in school history. The 59 points were most in a season opener since 1997. 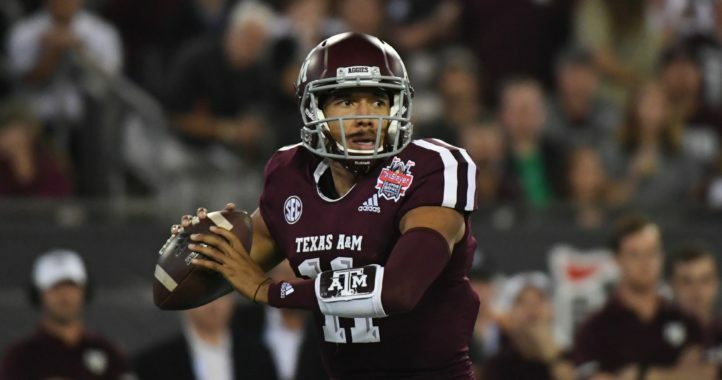 It was exactly the opener Fisher and the Aggies needed heading into a big-boy clash with the Tigers, the highest-ranked nonconference opponent ever in Kyle Field. Yes it’s an exciting time, for sure, in Aggieland right now. The GameDay crew will be at Kyle Field on Saturday and that usually means a close game. The Aggies have participated in seven GameDay atmospheres. Six of those games were decided by 8 points or fewer. And the last time the GameDay came through College Station, in 2016, the Aggies defeated Tennessee 45-38 in two overtimes. Oh, and Texas A&M is 3-1 all-time against Clemson. So you say there’s a chance? Not so fast, my friend! The Aggies are 1-6 in GameDay contests (1-4 at home). Fisher has lost the past three meetings to Clemson, all as head coach at Florida State, including last year’s 31-14 thrashing. Against Top 10 teams, Fisher is 8-9 all-time. Sure, his top-ranked Seminoles beat No. 2 Auburn in the 2013 season National Championship Game. But that was with Heisman Trophy winner Jameis Winston under center. Nobody is going to confuse Winston with current Aggies starting QB Kellen Mond, and Fisher’s numbers against the nation’s best opposition aren’t exactly dominating. They certainly won’t sway even the most optimistic of Aggie fans in regards to their chance for victory on Saturday. But most are already intuitive enough to realize that Fisher’s Aggies are at least a year away from pulling off an upset of that magnitude. These are the type of games that Fisher is expected to win — in the future. Whether the future is now will be determined on Saturday. With three sophomores along the offensive line, the future, it would appear, is where the Aggies must look toward in developing the young talent, which helps to make up the heaviest (313-pound average) starting five in school history. Right now, they just don’t have the seasoning to compete against a Clemson defensive front that boasts four potential NFL first-round picks. “They’ve got four All-Americans, four drafts picks over there. I’d say that’s a heck of a challenge,” Fisher said in his weekly teleconference. That’s going to make it awfully difficult for the Aggies to break a 5-game losing streak to AP Top 25 teams. It might even put in jeopardy the streak of 28 consecutive games scoring at least 14 points, the longest current streak in the SEC. Yes, this is a big game. As big a game as Fisher might imagine in just his second as head coach at Texas A&M. But it’s the long-term that Fisher is most concerned with at this early stage in his tenure. It’s the process. That’s the bigger picture. That’s what makes Saturday’s game just another game. Saturday is merely the next step towards the ultimate goal. 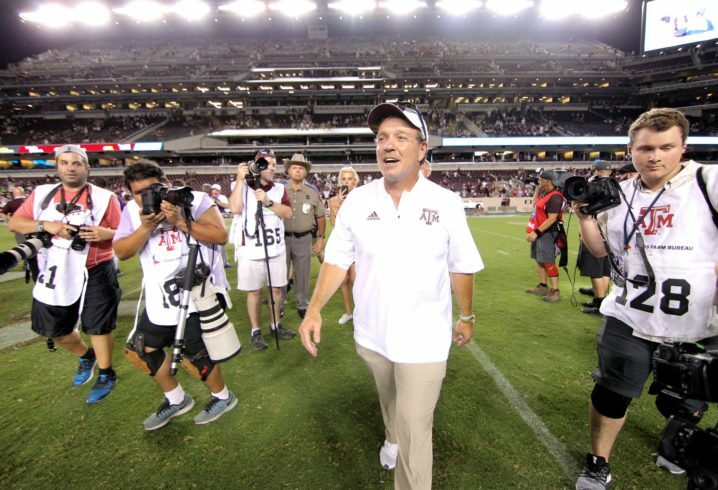 A year or two from now and the expectations for games like the one the Aggies will take part in on Saturday will be very, very different, as they should be. Glenn Sattell is an award-winning freelance writer for Saturday Down South. Fisher was a big hire for Woodward as A&M's AD.